The Elephant Man is based on the life of John Merrick who lived in London during the latter part of the 19th Century. A horribly deformed young man who has been a freak attraction in traveling side shows, John is found abandoned and helpless and is admitted for observation to Whitechapel, a prestigious London hospital. Under the care of the famous young doctor, Fredrick Treves, Merrick is educated and introduced to London society. Through their eyes, he is changed from sensational object of pity, to an urbane and witty favorite of the aristocracy and literati. It his dream that he will become a man like any other…but unbeknownst to him, he exceeds even that. “The Elephant Man is great. A giant of a play. Wonderful, moving and purely theatrical.”- Clive Barnes, The New York Post. “An enthralling and luminous play. Haunting, splendid…”- Richard Eder, The New York Times. Thursday Night Theater Club, homed at the historic El Portal Theater in North Hollywood, will opened its inaugural season in August 2018. 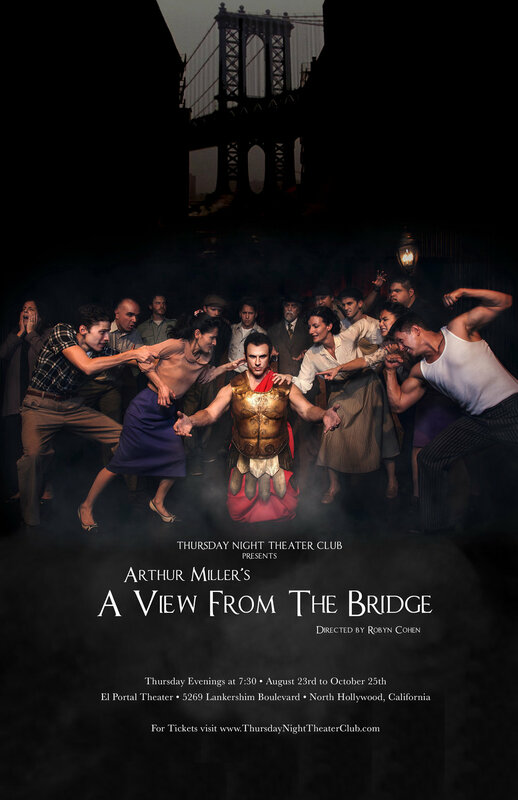 Arthur Miller's evocative play, A View From The Bridge centers on Eddie Carbone, a longshoreman who invites two of his wife's Italian immigrant cousins to live with them. When one of them falls in love with his niece, he accuses him of merely wanting a green card. Threatening the destruction of his entire family, Eddie grapples with the decision to rat them out to immigration. Produced By Tom Vitorino and Alice L Walker. Thursday Night Theater Club at The Monroe Forum is presented in collaboration with CSz Los Angeles. Cast Includes: Tom Vitorino, Alice L Walker, Samantha Jo (8/23,8/30, 9/6, 10/4, 10/18) Julisa Gonzalez (9/13, 9/20, 9/27, 10/11, 10/25) Jack Menzies, Zack Sayenko, Mark Morante, Jeremy Falla, Ethan Mikael, Robin Roth, Grant Anstine, David Ravazishvili, and Eric Ruane. 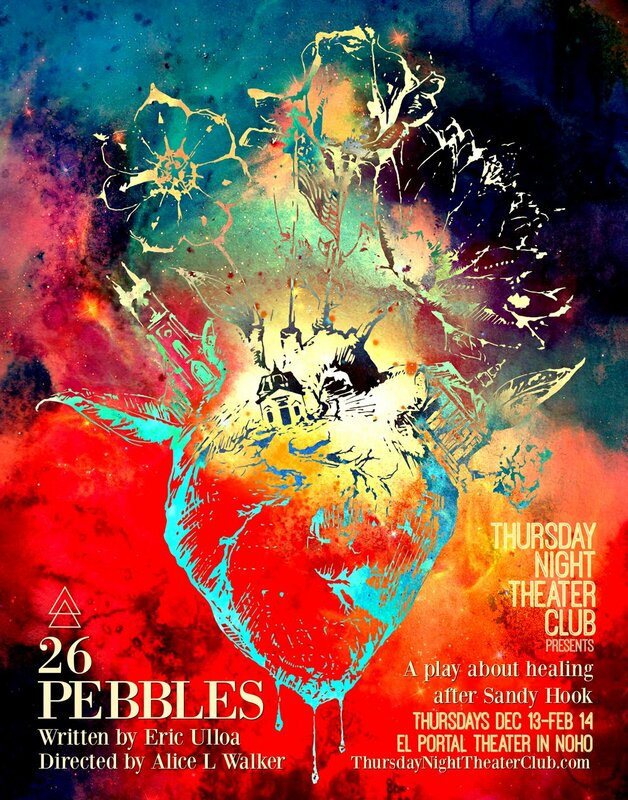 A play about how the community of Newtown and Sandy Hook began to heal from one of the greatest tragedies in American history. THURSDAY NIGHT THEATER CLUB CLASSES COMING SOON. Renown teachers couple together over 4 week sessions to explore a variety of disciplines, all inspired by the elements of our upcoming plays. Thursday Night Theater Club mirrors some of the resounding issues humanity faces today.